Quipus (or khipus), sometimes called talking knots, were recording devices historically used in the region of Andean South America. 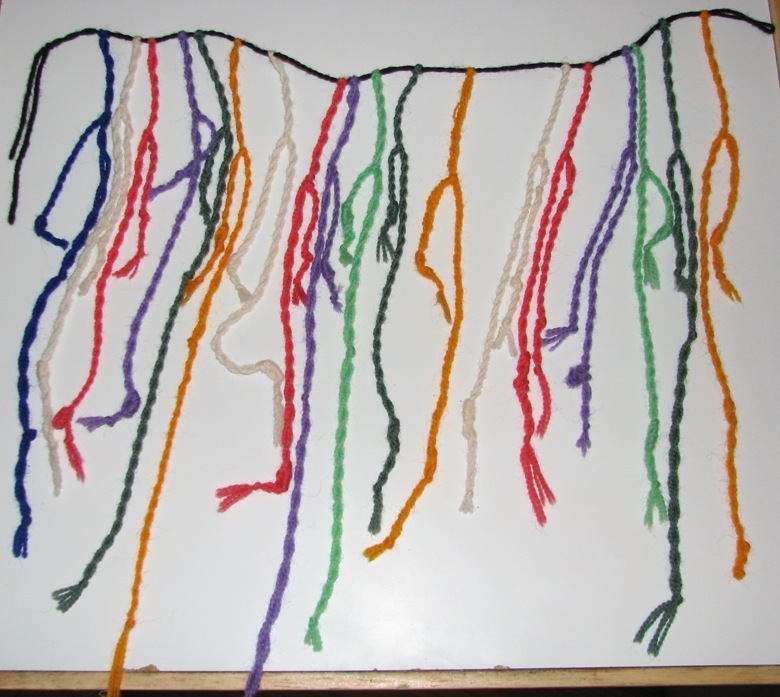 A quipu usually consisted of colored, spun, and plied thread or strings from llama or alpaca hair. It could also be made of cotton cords. The cords contained numeric and other values encoded by knots in a base ten positional system. 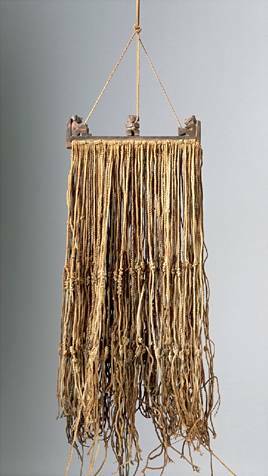 Quipus might have just a few or up to 2,000 cords.Archaeological evidence has shown that systems similar to the quipu were in use in the Andean region from c. 3000 BC. They subsequently played a key part in the administration of Tahuantinsuyu, the empire controlled by the Incan ethnic group, which flourished across the Andes from c. 1450 to 1532 AD. As the region was subsumed under the invading Spanish Empire, the use of the quipu faded from use, to be replaced by European writing systems. 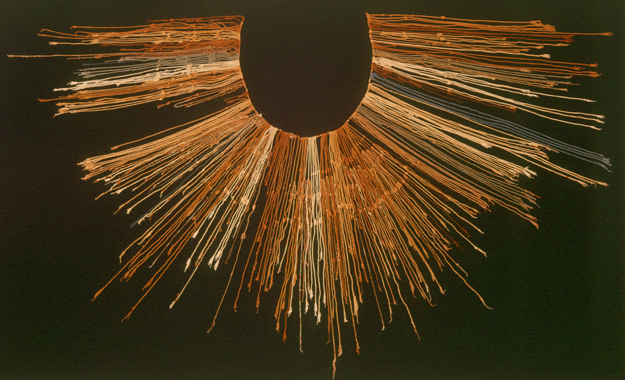 However, in several villages, quipu continued to be important items for the local community, albeit for ritual rather than recording use.Quipu is the Spanish spelling and the most common spelling in English. Khipu (pronounced [ˈkʰipu]) is the word for “knot” in Cusco Quechua(the native Inca language); the kh is an aspirated k. In most Quechua varieties, the term is kipu. Most information recorded on the quipus consists of numbers in a decimal system.In the early years of the Spanish conquest of Peru, Spanish officials often relied on the quipus to settle disputes over local tribute payments or goods production. Spanish chroniclers also concluded that quipus were used primarily as mnemonic devices to communicate and record numerical information. 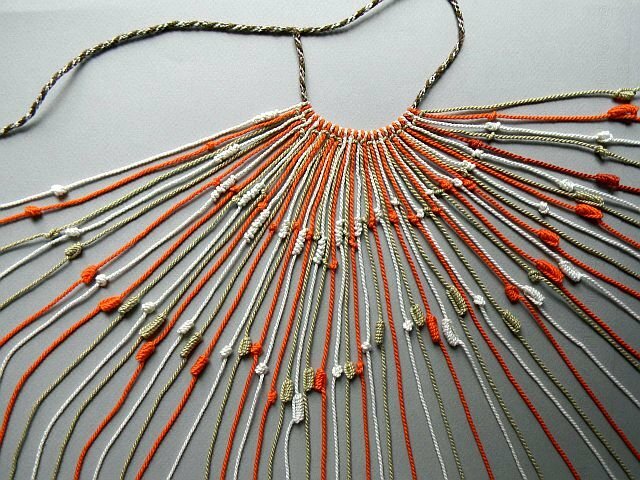 Quipucamayocs could be summoned to court, where their bookkeeping was recognised as valid documentation of past payments.Some of the knots, as well as other features, such as color, are thought to represent non-numeric information, which has not been deciphered. It is generally thought that the system did not include phonetic symbols analogous to letters of the alphabet.